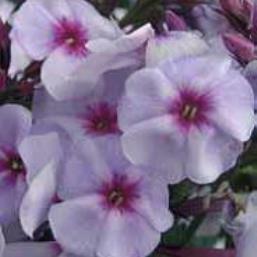 Phlox paniculata 'Swizzle Blue' is the newest kid on the block and a cousin to phlox 'Swizzle. 'Swizzle Blue' is compact and features unique blue-white petals with a hot pink center. The overlapping petals are an added bonus. PPAF.